Hot off of releasing v3.0 of Hop Mess Monster at Hart & Thistle earlier this week, Rockstar Brewer Greg Nash is bringing something very original to the Halifax beer scene. Available at 11am tomorrow at Rockbottom is Hasukappu Weisse. 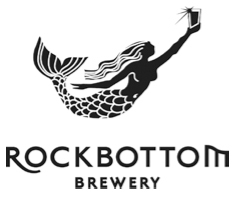 The brew is made Haskap berry (the first commercially available beer brewed with Haskap in North America) and Rockbottom’s German-style hefeweizen. The spicy phenols of our classic hefeweizen combine with the tartness of the Haskap in the finish, acidic and very refreshing. This is a great homegrown summer treat. And don’t be surprised to find a little blue nugget in your glass, the berries make for an excellent garnish. Two versions of the brew have been created. Version one is available on taps now with version 2 (the final version of the beer) available shortly. Additional information on the berry is available on the Rockbottom Brewer’s Blog.